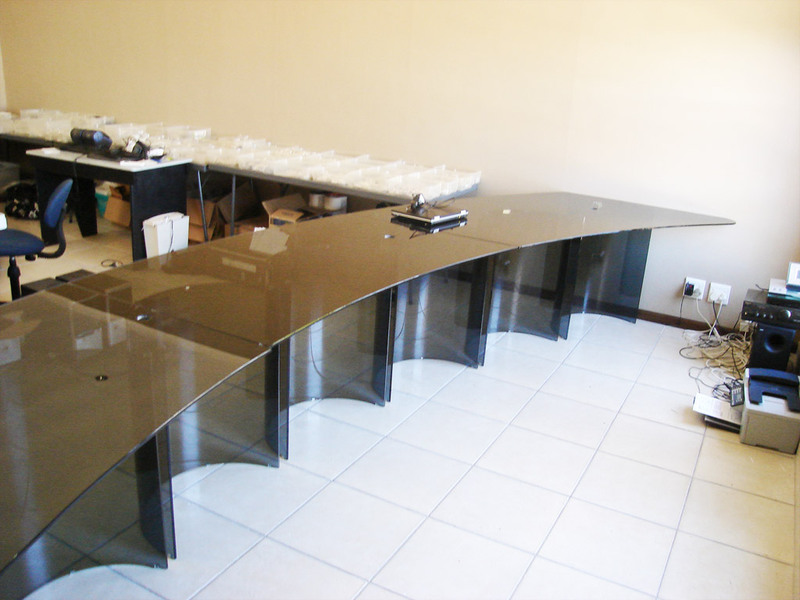 At Glass Benders we custom make a variety of glass tables and desks. 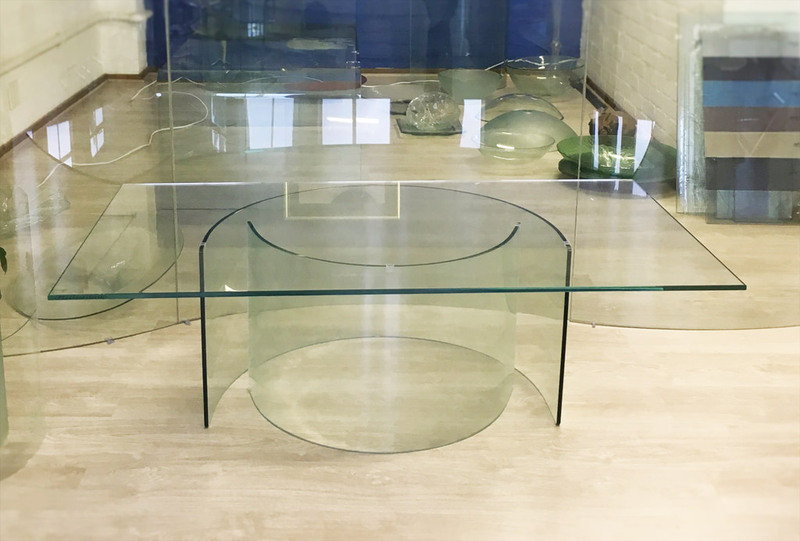 Curved glass can be used as supports for glass table tops and we manufacture a variety of ‘C’ Bends for this purpose. 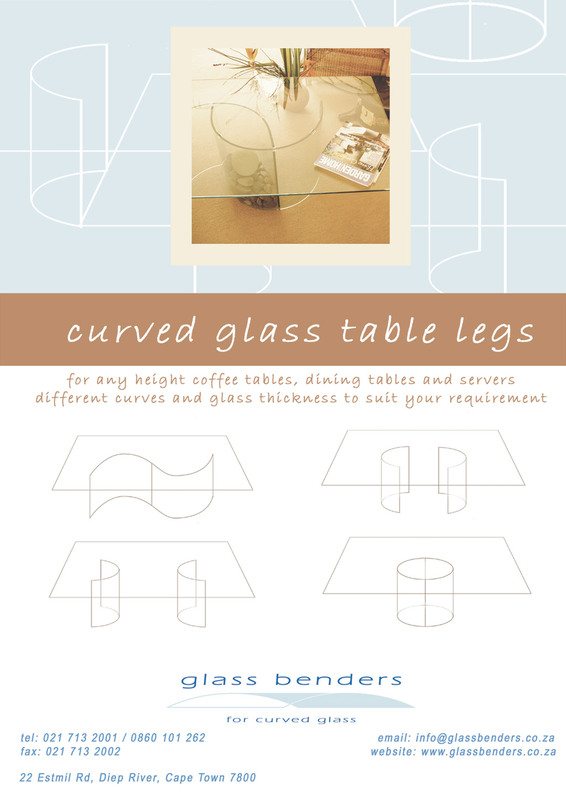 The C-Bends can be arranged in many different ways to provide the support for a glass table tops. 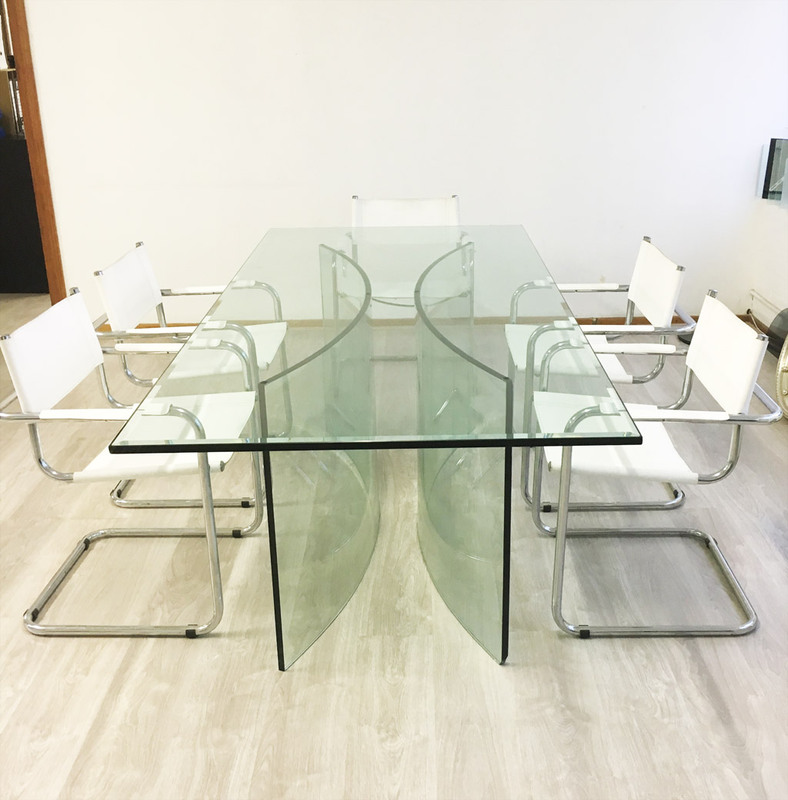 Large flattish C-Bends have been used as spectacular supports for ten and twelve seater boardroom and dining tables. 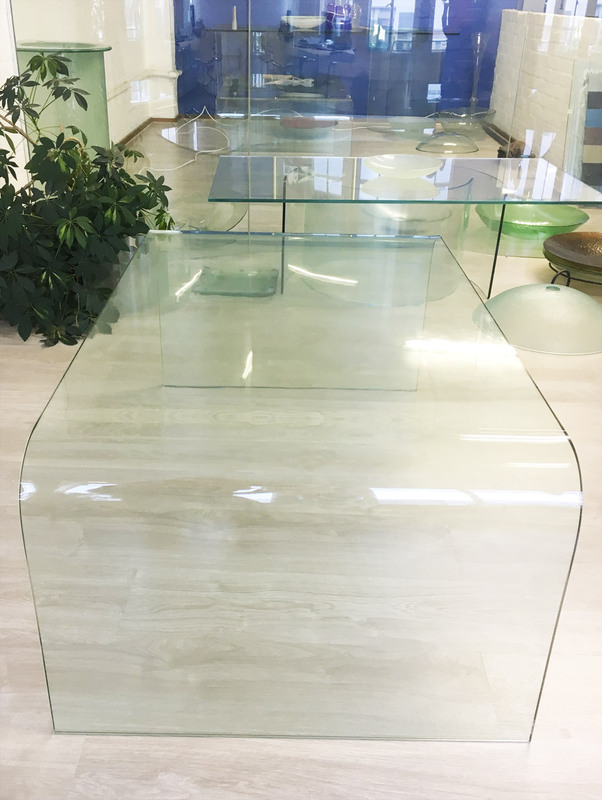 Clients have used clear C-Bend supports for coloured glass tops to create the effect of a ‘floating’ table. 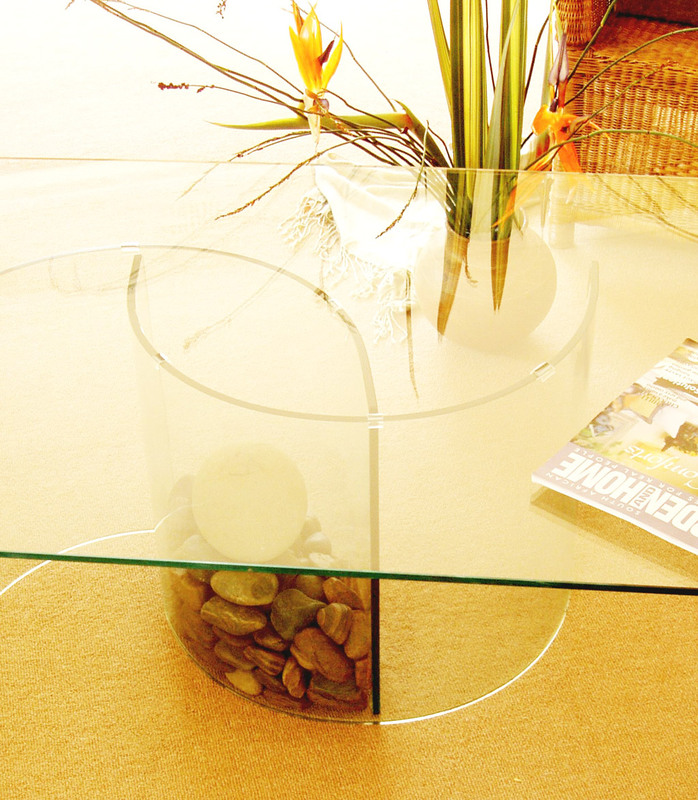 Glass curved into a ‘U’ bend can be used for coffee tables, or placed on edge as a glass desk support. 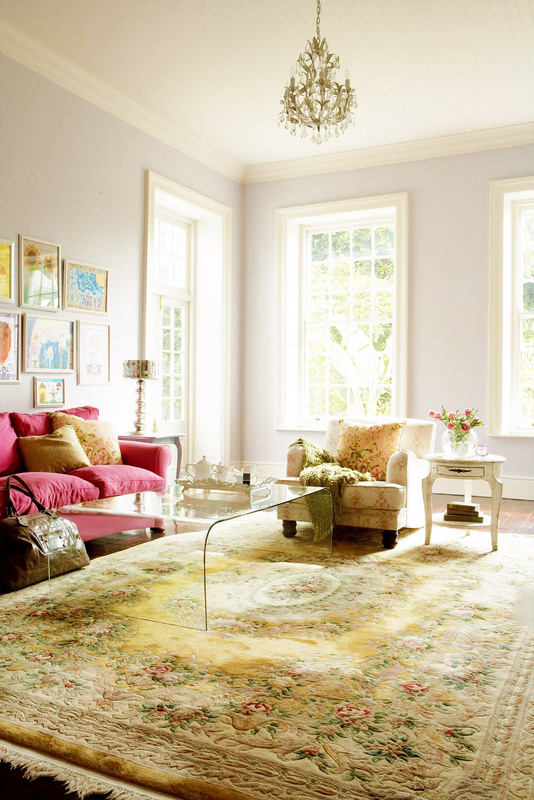 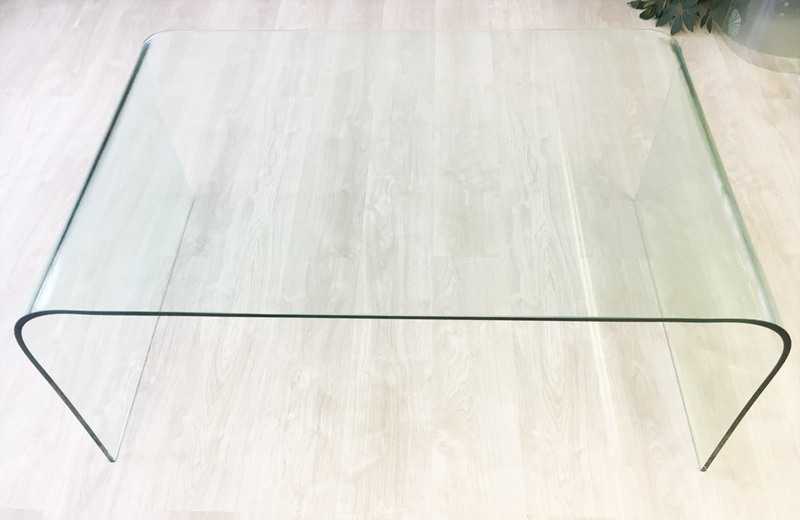 The coffee table U bends come in two sizes; 1250mm long and 780mm long, however, the width and height can be specified – for example, the U-Bend can be made narrow and tall and be used as a server, or short and wide for a low square coffee table. 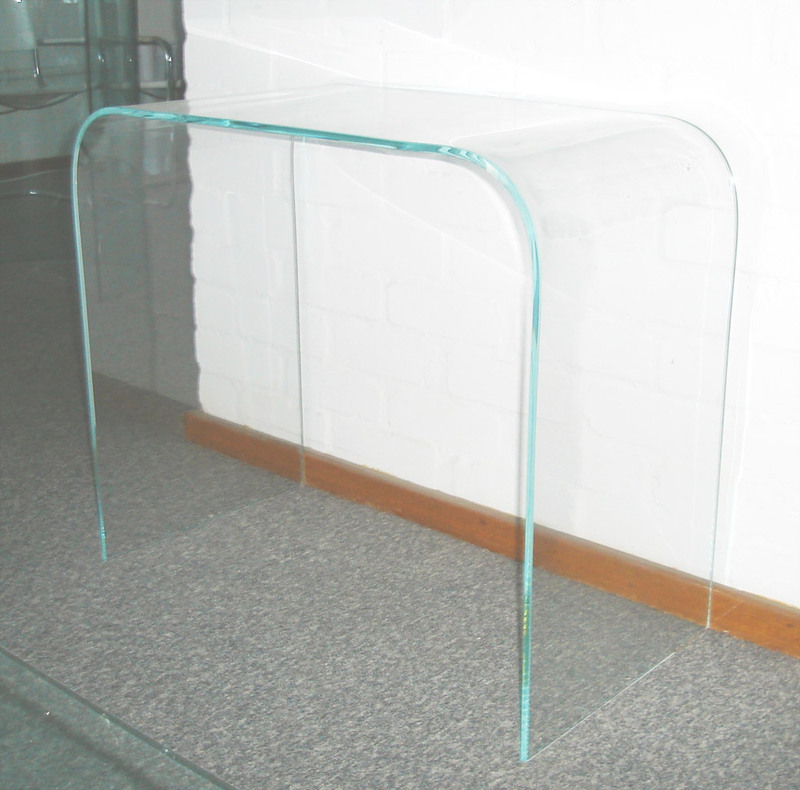 We have made items as diverse as pulpits and cake stands to curved glass urinal splashbacks!